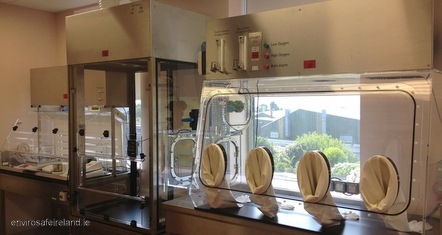 Containment Project – ST1 Balance Enclosure linked to Sliding Sash Enclosure linked via Interlocked Transfer Chamber to Oxygen Controlled Isolator. Filters are located above enclosures within stainless steel covers. Fan warning lights are relayed to the front of the covers.